Thomas Kelly is an award winning, New Jersey based painter. Widely collected, his work has a signature style, which has its roots in Expressionism. 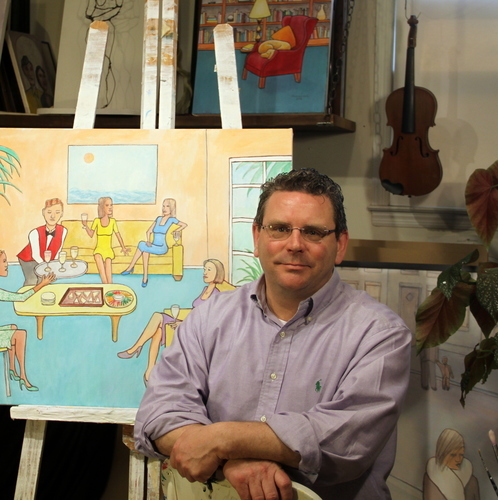 His colorful, narrative, acrylic paintings on canvas often create a dialogue with the viewer. His deceptively simplistic paintings are both critically acclaimed and very approachable by everyday viewers. More than 250 of Kelly’s original paintings have been collected.